In 1973 the federal Older Americans Act was authorized, followed by the incorporation of the Benton-Franklin Council on Aging (B-FCOA) in 1974, headquartered in the Kramer Center in Richland, Washington. B-FCOA was organized to utilize Older Americans Act funding in our community, specifically for the senior nutrition program. Dorothy Pugh was the first Executive Director, who quickly became a driving force for local aging issues. 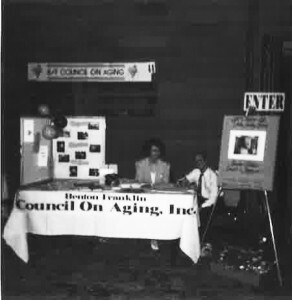 B-FCOA was chosen by the state to be a demonstration project for home care services in 1977. In 1980 Area Agencies on Aging (AAA) were formed to administer federal and state funding for aging services and to provide accountability and oversight to agencies utilizing these funds. The first nutrition program was known as the Bread ‘n Butter Nutrition Program. It was located in the Pasco Senior Center in 1982 and then moved to Richland. The 80’s were a decade of new programs, growth, and then contraction as regulations added complexity, just as the organization’s home care program grew across several counties. The home care services program had grown enormously becoming one of the largest in the state. Communications from the central administration were challenging and outlying offices became fiercely independent. The first Executive Director, Dorothy Pugh, resigned in 1989 and the new Executive Director, John Rupp took the reins in 1990. John took on many major challenges as the organization moved into the 90’s. He had to establish a reliable information technology system, revamp the organizational structure to improve communications and controls across the service areas, and develop an accounting system to fix significant fiscal management issues that would address expenditures and cash flow. In 1992, B-FCOA’s first strategic plan was completed. In 1993, B-FCOA ended the year in a positive financial position, the first time in many years. Several staff changes took place throughout the early 90’s. New programs were introduced and several collaborative projects grew out of the state’s growing interest in aging and long term care. 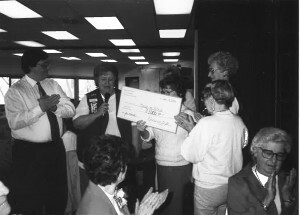 Organized fundraising efforts grew to support the nutrition program. A fire at Spaulding School destroyed the nutrition program’s central kitchen in 1995 and a temporary kitchen was set up at the Richland Knights of Columbus Hall. Ironically, an early snow thaw in early 1996 left the central kitchen inaccessible for some time due to flooding. Later that year B-FCOA launched its first internet homepage. The Bread ‘n Butter Nutrition Program became Mid-Columbia Meals on Wheels in 1997. This was followed in 1999 by another name change. This time B-FCOA became Senior Life Resources NW Inc. and the administrative offices were moved to Gage Boulevard in west Kennewick. The first 25 years of service was celebrated with an open house. The Mid-Columbia Meals on Wheels central kitchen was moved from the Knights of Columbus Hall to the Pasco Senior Center. Y2K (2000) came and went without any computer system glitches and in fact the year 2000 was a significant year for computer software at Senior Life Resources NW, with a new data processing system for Meals on Wheels (SPICE) and SLR’s own business operating software for the home care program called AtHome. In 2001 the Board of Directors approved a move to contract meal preparation with a commercial service provider, Food Management Corporation. The next year the SLR Board and management began to explore the possibility of building administration offices in the Tri-Cities (14 years later that became a reality). The Home Care Providers unionized in 2005, voting to join the Office and Professional Employees International Union (OPEIU) Local 8. Labor negotiations for a Collective Bargaining Agreement for Home Care Provider employees started in January 2006 and the first ever contract was signed in December. The compilation of our history through to this period is based on the effort of Karen Erickson to capture key events in our development. The last three years of this decade continued the growth and development of the two core programs as the federal government dug into comprehensive health care reform legislation that spilled over into SLR operations. 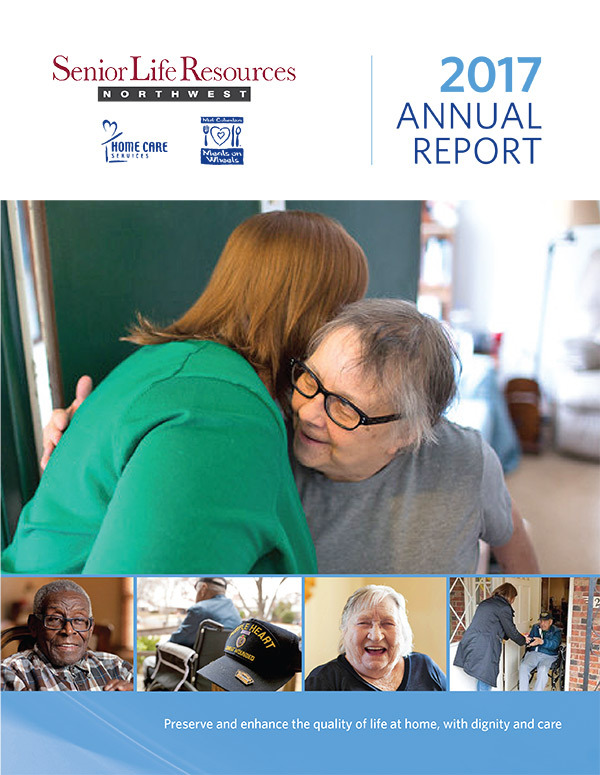 The complexity of the operations and support functions continued to evolve as state budgets drove labor costs and benefits for Home Care Providers, accountability required higher level Information Technology solutions, and fiscal balance was a daily challenge. Beginning in 2010 the SLR Board of Directors shifted attention on the capacity for the existing kitchen in Pasco to cope with increasing demand for nutrition services. The following year a Central Kitchen Study Group was formed to study nutrition support requirements for Benton and Franklin Counties, examining meal production models that might be used. By year-end the group had made their recommendation to the Board to build a Mid-Columbia Meals on Wheels commercial kitchen. The Board approved the recommendation. In 2012, 2.2 acres of land was purchased on Fowler Street in Richland for the future expansion of senior support services and facilities. Over the next two years considerable effort went into the concept, then the design, of a building at the Fowler Street site. The costs were significant and a capital campaign to raise $4.5 million stalled early. Executive Director Rupp retired at the end of 2014. The Board selected Grant Baynes to be the third Executive Director for the organization. At their retreat in March of 2015 the Board of Directors was united in their wish to see the project through to completion and the concept of multiple facilities in a campus setting. The Fowler Street Campus was born. The kitchen and the office facilities were to be separated on the campus. This changed the potential funding strategies. Redesign work utilized much of what had been done before and plans were prepared for permitting in October. As all this was developing, SLR received word that the Pasco Senior Center was to be sold to the Pasco School District and the central kitchen would have to be moved before year-end. Many existing kitchens were evaluated without success but fortunately, Shirley and Steve Simmons, owners of Country Gentleman restaurant and catering services, stepped up and took over the contract for meal production for Mid-Columbia Meals on Wheels. It was to be a short contract but it bought the time needed to get MOW’s own kitchen in place, saving the program from being “kitchen-less”. Planning and execution of the transition went very well for such a complex move thanks to the care, skill and experience of SLR staff and the Simmons’ team. In the meantime SLR successfully retained the Aging and Long Term Care (ALTC) contract for nutrition services for another 4 years. On the Home Care Services program front all six local offices (Clarkston, Walla Walla, Kennewick, Sunnyside, Yakima and Ellensburg) were upgraded with computers, furnishings (for many), and a professional décor. A new three-year contract was negotiated for the almost 500 Home Care Providers of OPEIU Local 8 that included a retirement benefit. Throughout the organization training and communications became more focused on the new mission statement “to preserve and enhance the quality of life at home, with dignity and care” and the values of Quality, Excellence, Dignity, and Integrity. Preparations were made for a number of IT hardware and software changes to improve efficiencies and reduce IT data risk. 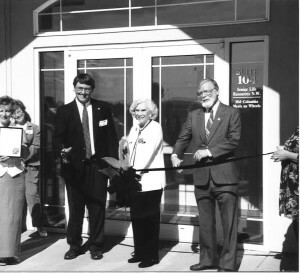 On October 7th, 2015 the contractor began to prepare the site for the construction of the new office building and, most importantly, the new Mid-Columbia Meals on Wheels kitchen. 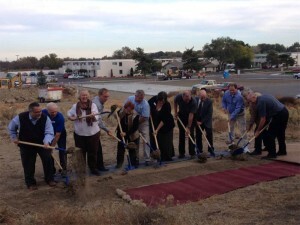 The official groundbreaking took place on October 21st, 2015. The two facilities are projected to be completed by mid-2016. Significant improvements at SLR began with the work and planning leading to the October 2015 groundbreaking for our new offices on Fowler Street in Richland. Our plan was to build a new Meals on Wheels kitchen/café and an office building to house Senior Life Resources, Home Care Services, and Meals on Wheels administrative teams. Both buildings would be sized around 6,000 square feet. Cost estimates for the two buildings and shared parking lot came in at $2.2 million. The bulk of the funds, $1.5 million, would come from tax-exempt bonds through the Washington State Housing Finance Commission, with Senior Life Resources NW to make up the balance. Longtime Meals on Wheels volunteer driver, Don Pratt, signed on as our general contractor, with Dale Perry overseeing the project. Fellow volunteer driver, Nick Castorina, offered to work as our volunteer Project Manager. Groundbreaking for the office building began in October, and we soon found that the Fowler Street Campus site is VERY rocky! As construction on the kitchen/café took off in early 2016, attention turned to raising funds to equip the commercial kitchen. The taxpayers of Washington contributed $200,000 through the Local and Community Projects program approved in the 2016 State budget. Local funds were raised thanks to generous contributions from many individuals and local organizations, including: SLR governing and advisory boards, local Rotary Clubs, Kadlec Regional Medical Center, and a local automotive dealership. Construction and finances converged on May 20th when we received the Temporary Certificate of Occupancy for the kitchen, the final appraisal of the buildings, and the final commitment to proceed from Bank of the West, who is sponsoring our Revenue Bonds. Final closing took place on June 3rd. SLR administrative staff left our leased offices on Gage Boulevard on May 27th and re-opened at our new location the day after Memorial Day. Information technology and phone transfers went seamlessly, thanks to our IT professionals at BluZebra, Kipp from Telco, and Al Weigand from Valadian Consulting. In the midst of our relocation, Home Care Services embarked on a major management platform change that has transformed almost every aspect of their process, including scheduling, client records, payroll, and billing. Clearcare Home Care Software Solutions has been a huge change from our old system that could no longer handle the updates required to meet new State contract requirements. Clearcare was activated May 1st for our home care providers and supervisors. Long hours of hard work were turned in by our Home Care, Human Resources, and Finance teams as they worked to create a successful payroll and billing cycle through the newly integrated systems. 2016 also brought many staff changes across our organization. New staff have embraced challenges and have contributed greatly to these complex transitions. On Friday, September 2nd, Mid-Columbia Meals on Wheels’ meal production transitioned from Country Gentleman Restaurant to our new kitchen, the first kitchen we’ve actually owned in our 42-year history! September 6th marked the first day of full meal production in the new kitchen. Our experienced cooks left Country Gentleman following meal service on Friday and started work in our new kitchen early Tuesday morning after the Labor Day holiday. After working in cramped spaces and sharing kitchens for so many years, they were nearly overwhelmed by the huge kitchen and equipment available exclusively for their use. Day 1 meals were sent to the meal sites only slightly behind schedule, and the few “learning curve” mishaps were quickly remedied. In a matter of just a few days, our kitchen staff was operating like a well-oiled machine. Service volume has steadily risen since we opened; just 3 weeks into service from our new kitchen, our cooks sent out a record 569 meals! Feedback from clients has been very positive. On Saturday, September 17th, we celebrated our “official” ribbon cutting. The weather was a little overcast and bleak, but the occasion was festive, well attended, and successful. Four guest chefs (Brandy from Country Gentleman, Patrick from Fieldstone Memory Care, Kevin from Kimo’s Restaurant, and Brian from Meals on Wheels) prepared appetizers live in the kitchen, providing an opportunity for our guests so see them in action. Site managers and staff prepared some of their own favorite appetizer dishes, and we received 20 dozen beautiful cupcakes from Patty Bare. The food was a hit, as was the music of Swing Unlimited, who set up on the patio and entertained our 300+ guests. Ribbon cutting commenced at 11 am, and the shiny blue ribbon was cut by 20 special guests, including: our longest serving employee, Lupe Reyes (37 years as a professional Home Care Provider in Yakima); Julie Swartz of the PNW Mustang Club (Supporters of Meals on Wheels); Washington State Representative, Larry Haler; Councilmember Phil Lemley of the City of Richland; Don Britain, City of Kennewick Mayor Pro Tem; Nick Castorina (Construction Project Manager and volunteer extraordinaire); Don Pratt (Building Contractor and exceptional volunteer/supporter); Steve Simmons of Country Gentleman Restaurant; SLR Board of Directors; MOW Advisory Council Chair, Timmi Garrett; SLR Department Directors; and Food Services Manager, Brian Kinner. All twenty pairs of scissors used in the ribbon cutting were quickly sold, raising nearly $500. We are eternally grateful to the many supporters who have helped in so many ways to fulfill the dream of a Meals on Wheels kitchen dedicated to continuing and improving service to the seniors in Benton and Franklin Counties. With incredibly generous support from the McCurley Dealership Team employees, who provided 50 turkeys and all of the fixings, the lunch before Thanksgiving was magnificent. It was sight to behold, watching 24 turkeys cooking at the same time in our new Combi-Oven – in just over two hours! There were two lunch sessions held in the new café with over 35 attending. CH2M volunteers helped to serve and clear. At the December Board of Directors’ meeting two very long-serving Directors were recognized and wished farewell, as they completed their terms. Tom Seim served on the Board of Directors from 1992 to 2016. Betty Sherman from 2005 to 2016. Tom and Betty provided incredible leadership through some very trying times and through to our celebrations this year. A reception was held before the regular December meeting of the Board, with guests, past members, and staff present to express their thanks. In the spirit of what we have in abundance here at the Fowler Street campus (besides positivity, passion, and engagement) each received an engraved and mounted rock from the site. Two larger rocks were also engraved and placed on the campus, as a permanent recognition tribute to their leadership and commitment to Senior Life Resources Northwest over so many years. Watch for an update soon that the café is officially open for business.